The second Venezuelan aid plane took off on Thursday evening from Caracas International Airport heading to Palestinians in the Gaza Strip. This plane, which is going to land in Cairo International Airport on Saturday, is loaded with 55 tons of urgent food and medical supplies for the residents of Gaza. Palestinian ambassador to Venezuela and Palestinian embassy staff, along with the deputy Venezuelan foreign minister, were there when the plane took off. According to the Palestinian ambassador a third Venezuelan aid plane is planned to follow this one next week. The three planes are part of a series of Venezuelan planes carrying food and medical aid supplies to the Palestinians in the war-stricken Gaza Strip. 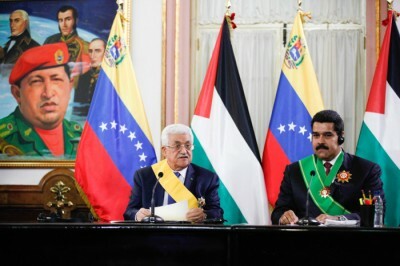 The Venezuelan leadership, including the Venezuelan President Nicolás Maduro, demanded the Venezuelans collect aid for the Palestinian people as support for their resistance in Gaza.